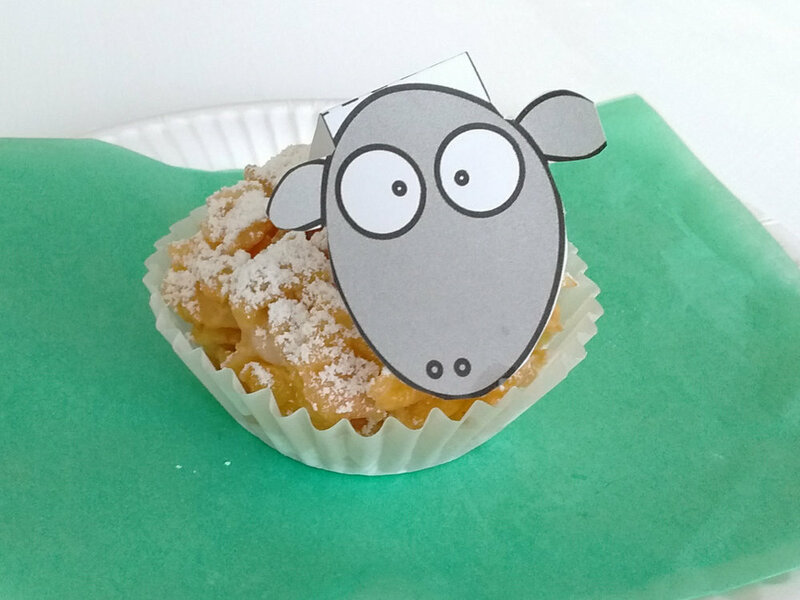 If you have time make a batch of sheep corn-crispies in advance to show the children what they are making. Just before the session melt the syrup and butter in a pan, remove from the heat and stir in the white chocolate. As the mixture cools it will thicken slightly. Allow the mixture to cool for around 8-10 minutes - keep stirring to prevent it from separating or becoming too thick. 1. Place the cereal flakes in a large bowl and add the cooled chocolatey mixture. 2. Allow the children to carefully mix the flakes into the chocolate until all the flakes are covered. 3. Help the children to spoon the mixture into the paper cases. Leave the crispies somewhere safe to cool completely. 4. Encourage the children to cut out a sheep face and fold along the dashed line to create a tab. If you have time, allow the children to colour in their paper plates to look like a meadow, adding green grass and colourful flowers. 5. At the end of the session place a crispie on each paper plate. Encourage the children to sprinkle icing sugar over their crispie using a tea-strainer. Place the folded sheep face on top as shown in the picture.